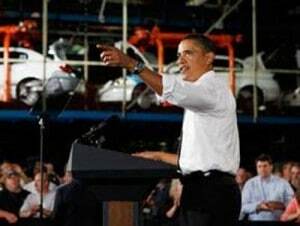 Promise comes as U.S. President Tours Volt’s Hamtramck Plant. The first Volt moving down the line at the Detroit-Hamtramck manufacturing plant. 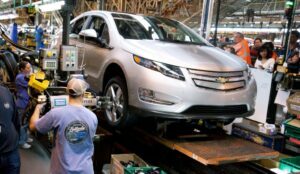 General Motors today said that thanks to “strong public interest” in the Chevrolet Volt, it will increase production capacity of the four-seat series hybrid car from 30,000 units to 45,000 units in 2012. 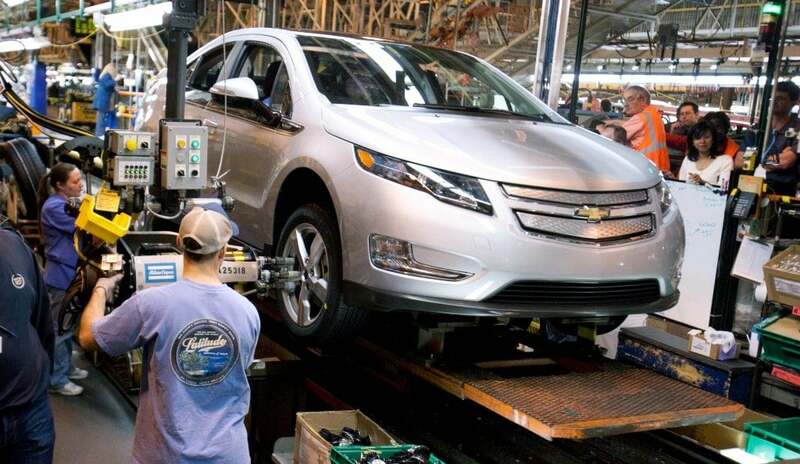 The announcement came as U.S. President Barack Obama toured the Detroit-Hamtramck facility, where the Volt is being produced now for sale later this year. “We are very proud to host the President of the United States at this plant, where the future of the American automobile industry is being built today by the men and women of General Motors,” said Edward E. Whitacre, Jr., the GM Chairman and CEO, who was approved by the Administration and took over as the failed company was emerging from bankruptcy. U.S. taxpayers invested more than $60 billion in GM to allow it to survive and now own a majority stake in the privately held firm. It is a matter of much debate as to whether taxpayers will get all of their money back, but recent developments, including GM’s return to profitability, means some of the more than $50 billion spent will be returned if a public stock offering is successful. Ongoing Big Three upturn shows bailout was worth it. 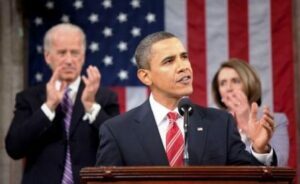 Recent events should make it easier for President Obama to promote the bailout of GM and Chrysler. Whichever side of today’s highly partisan spectrum you fall on, there’s little doubt President Barack Obama’s visit to Detroit is clearly political in nature. But why shouldn’t it be? In an era when the merits of almost everything the government does is debated, ad nauseum, the current occupant of the Oval Office has reason to come crowing as he tours a pair of domestic auto plants. Despite the strong criticism leveled against the bailout of General Motors and Chrysler, last year, there’s growing evidence the tens of billions of dollars invested into the automakers was worth the risk – and that we taxpayers actually may get much, perhaps all, of our money back when the two makers go public once again. At a time when critics of the White House weep over the inability to generate jobs – while resisting the need to prop up those out of work – one can only imagine just how deep a hole the American economy might have toppled into had GM and Chrysler been written off. By most accounts, 1 million jobs were directly at risk, never mind the multiplier effect their collapse would have had on the broader economy. Fiat CEO defends controversial bailout, says it created jobs. Jefferson North, one of the few inner city plants remaining, is in a strongly Democratic district. More than 1,500 UAW-represented employees at Chrysler Group’s Jefferson North Assembly Plant in Detroit welcomed U.S. President Obama to the home of the all-new 2011 Jeep Grand Cherokee today. The President visited the plant a little more than a year after Chrysler emerged from bankruptcy because of billions of dollars in taxpayer support as part of his mid-term election year push to sell Democratic industrial policies to angry and skeptical voters. Turin-based Fiat with the help of taxpayer money gained control of Chrysler in the process. Sergio Marchionne is now CEO of both groups. During the visit, Marchionne announced that the nearby suburban Sterling Heights Assembly Plant (SHAP) would not be closed, as he originally said as part of Chrysler’s post-bankruptcy business plan, but rather it would stay open beyond 2012. A second shift of about 900 workers will also be added in early 2011. To support that operation, suppliers will add nearly 500 jobs it’s estimated. Prime mover in U.S. and global automobility born in 1863. The machine that changed the world. 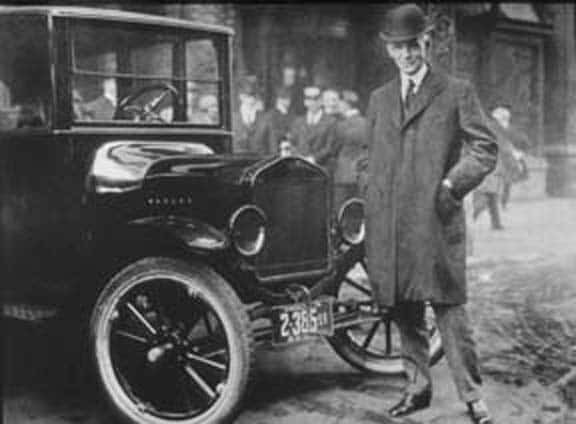 Henry Ford and the Model T.
Henry Ford, a key figure in the economic history of the United States and the automobile industry, was born today in 1863 in Dearborn, Michigan. Ford built his first automobile in 1896, but it was the introduction of the Model T in 1908 that changed the U.S. transportation forever. The ‘Tin Lizzie” was an instant hit. By 1918, the “Flivver” accounted for half of the cars on what were then very crude U.S. roads. It was Ford’s use of the assembly line that allowed production time to be reduced for each of the black painted cars from more than 12 hours to 93 minutes. As a result, Model T prices dropped to as low as $300 – the average cost of a new vehicle today is more than $23,000. More than 15 million Model Ts were built. Production ended in 1927, but the four-cylinder engine was built until 1941. 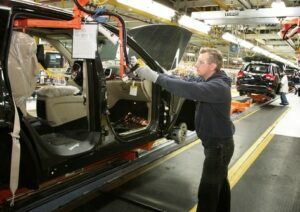 Renewed push defending auto bailouts, touting job creation. Without intervention a million jobs would have been lost, according to a new report. President Obama will visit the Jefferson North plant of Chrysler in Detroit where Jeep Grand Cherokee models are made and then stop by a nearby General Motors plant in Hamtramck where the Chevrolet Volt hybrid will be built. At both stops, and another next week at a Ford Explorer plant in Chicago, the President will promote the taxpayer programs that saved or created “Detroit Three” automaker jobs. The unpopular bailouts and how much of the more than $80 billion used will be returned are one of many contentious election-year issues. Both Chrysler and General Motors of course received billions of dollars in taxpayer financing to allow them to emerge from bankruptcies last year. And Ford Motor Company received billions to retool its plants. As a result, the Administration will claim that the 2,800 jobs at Jefferson North and the 1,100 employees at Hamtramck, among thousands of others, were saved by the unpopular loans, which now has U.S. taxpayers as the majority holder in GM, with a substantial position in Fiat run Chrysler. Ahead of the trip the Administration released a new study on the auto industry. It said that in the year before the Chrysler and GM bankruptcies, the companies lost almost 340,000 jobs. In the year since then, 55,000 jobs have been added to these companies. “If we hadn’t stepped in when we did, most observers believe at least a million jobs would have been lost,” said Ed Montgomery, the head of the White House Council on Automotive Communities and Workers. “While there is still a long way to go, the report points out that the companies are also showing positive signs of financial performance. In the first quarter, all of them made operating profits. That’s the first time that’s happened since 2004,” said Montgomery. Leaf is a corporate statement. But will potential buyers understand Leaf's pros and cons? As Nissan and Chevrolet prepare to launch their groundbreaking electric vehicles later this year, they face a huge task educating the public about just what they are – and aren’t. Marketing a new car is always a challenge, and something that can cost a maker as much as $100 million for even a relatively conventional product. Now add a battery drivetrain and the challenge – if not the cost – could go up exponentially. 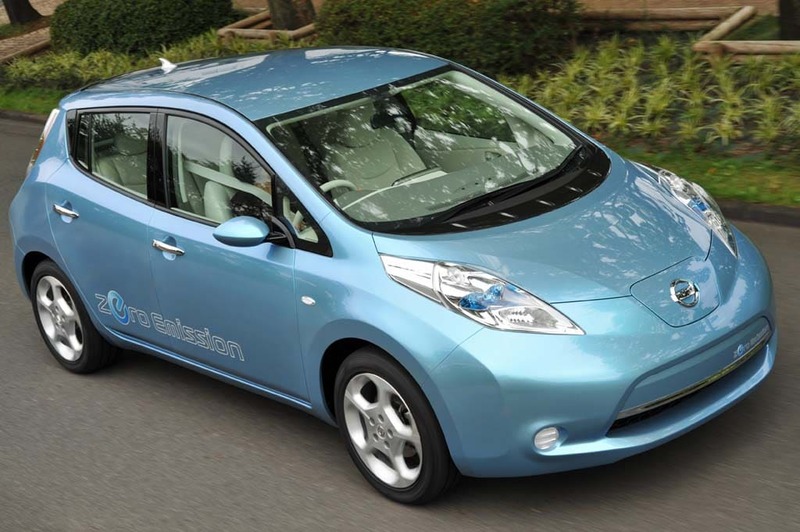 The Nissan Leaf is a pure electric vehicle with a range of about 100 miles and. 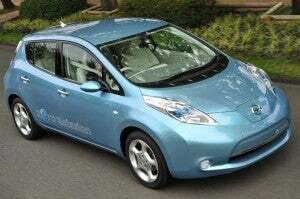 Nissan calls it the first mass-market electric vehicle – though some might quibble with that and point to the battery cars the industry tried to push in the early 1990s. The technology under the hood of the Chevy Volt is even more unusual. General Motors calls it an extended-range electric vehicle (rather than a plug-in hybrid, a difference a bit more than just semantics). The Volt can travel about 40 miles on a full charge. 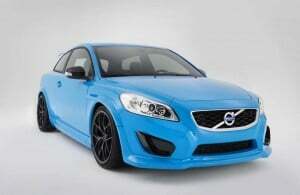 At that point, a small gasoline engine starts to provide up to 300 additional miles. When it runs out, pull into a fuel station to fill up for another 300 miles, just like a traditional car. It’s still an electric vehicle because the gasoline engine drives a generator, so it never directly powers the vehicle. Bloomberg and other city bosses angered by federal ruling limiting their control over taxi fleets. 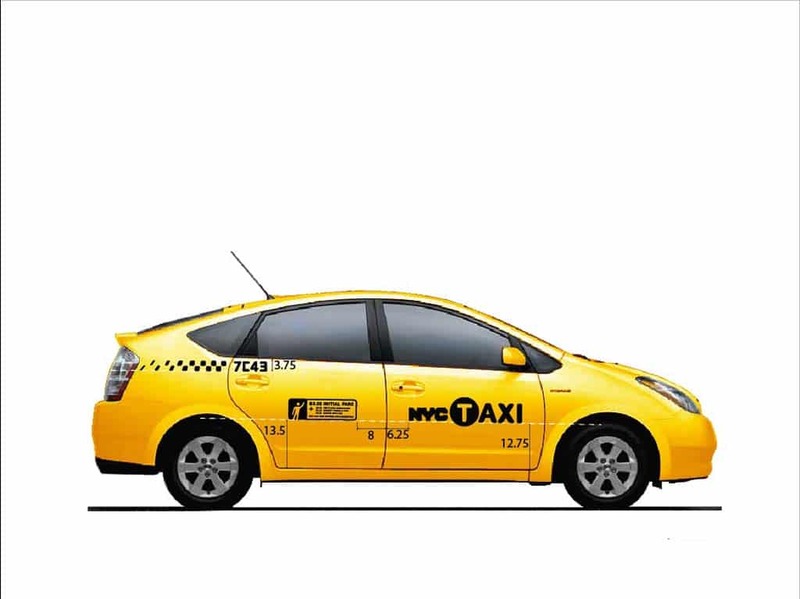 Though a federal court has blocked rules requiring the switch to greener vehicles, more than a quarter of NY cabs are already hybrid-powered. With New York’s never-shy Michael Bloomberg taking point, a coalition of American mayors is pressing Congress to give them permission to green their taxi fleets. The Big Apple is just one of the cities that had been trying to force taxi operators to switch from conventional gasoline vehicles to cleaner alternatives, such as hybrids – but a federal court has blocked such efforts ruling that power resides solely with the federal government. So, unless the ruling by the U.S. Court of Appeals is overturned, Bloomberg and his counterparts in five other cities are pressing lawmakers on Capitol Hill to revise the rules. The goal, they declared, in a letter to Senate Majority Leader Harry Reid (D-NV), is to “ensure that taxicabs and other for-hire vehicles in our cities are fuel efficient.” The mayoral coalition suggested that by greening the vehicles in their cities 50 million gallons of fuel could be saved annually. 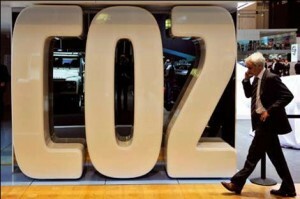 The move would also have a significant impact on the emission of CO2 and other pollutants. Bloomberg has been campaigning for cleaner taxis for more than three years. 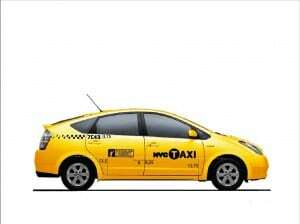 He has even tried encouraging the development of vehicles specifically to serve as greener taxis, though in many cities, the push has simply been to adopt hybrid technology or other alternatives, such as compressed natural gas. Final obstacle gone, $1.7 bil deal now appears complete. China has given approval to the purchase of Volvo from Ford by Geely, permitting the $1.7 bil deal to finally be completed. With the approval of the Chinese government now in hand, it appears Ford Motor Co. and Geely Holding Group can consummate the sale of Swedish automaker Volvo. If so, the official transfer of Volvo could happen quickly, ending a decade-long effort by Ford to blend Volvo into its global product development process. The goal yielded mixed results, with Volvo providing some of the basic platforms and safety technology that will continue to be used by Ford in the years ahead. But the Swedish maker itself struggled under Ford’s stewardship and shortly after he joined the U.S. maker, four years ago, CEO Alan Mulally sent a rescue team to Volvo headquarters to try to turn things around – or set the company up for sale. EPA's human health endangerment finding stands. Unknown, costly regulatory consequences for U.S. economy will ensue. CO2 reduction is no walk in the park for auto makers or thus far unsuspecting consumers. The U.S. Environmental Protection Agency (EPA) today denied ten petitions challenging its 2009 determination that climate change is real and is occurring due to emissions of greenhouse gases from human activities. This threatens human health and the environment. The latest decision, which has wide-ranging and potentially huge negative consequences for the stumbling U.S. economy, confirms a previous EPA ruling that greenhouse gases (GHGs) threaten the public health and welfare of the American people. Since virtually all vehicles for the near or longer term will burn fuels that cause large amounts of GHGs, more stringent fuel economy standards are inevitable. This will affect the types, sizes and cost of vehicles – in ways yet unknown — that you will be able to buy. EPA’s Greenhouse Gas findings were initially issued in response to a 2007 U.S. Supreme Court decision that GHGs fit within the Clean Air Act definition of air pollutants. Prior to that, under Republican Administrations, the EPA did not take regulatory action to deal with the controversial problem. The petitions to reconsider EPA’s Endangerment Finding claimed that climate science cannot be trusted, and assert a conspiracy that invalidates the findings of the Intergovernmental Panel on Climate Change (IPCC), the U.S. National Academy of Sciences, and the U.S. Global Change Research Program. EPA has just said in a statement that after months of “serious consideration” of the petitions and of the state of climate change science, that it finds no evidence to support these claims. “The endangerment finding is based on years of science from the U.S. and around the world. These petitions — based as they are on selectively edited, out-of-context data and a manufactured controversy — provide no evidence to undermine our determination. Excess greenhouse gases are a threat to our health and welfare,” said EPA Administrator Lisa P. Jackson. Maker’s first premium luxury sedan expected to carry a low-$60,000 base price. 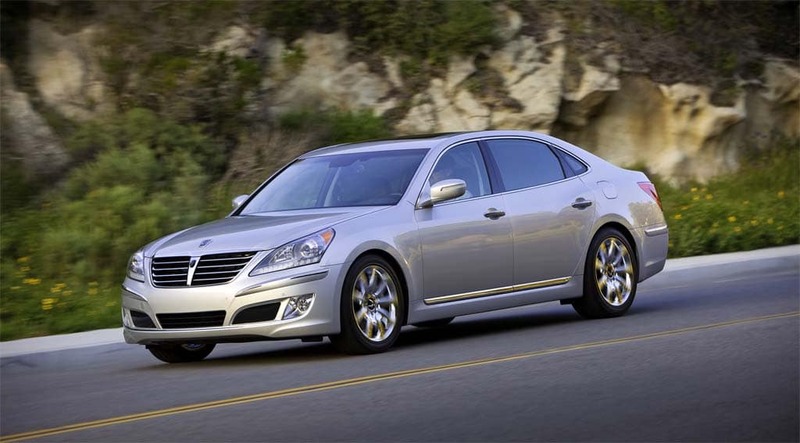 Hyundai takes on the premium luxury market with the new Equus sedan. The corners come up fast when you’re pushing 150 mph. But with little more than a whoosh, we blast around the high-banked oval at the Hyundai Namyang Proving Grounds, the big sedan firmly locked in its lane. Though there aren’t many places where you can expect to clock those sorts of speeds in South Korea, Hyundai has reason to show off the high speed handling of its new Equus sedan, its first to go up against the best the Germans can offer, better-known nameplates like the Mercedes-Benz S-Class and BMW 7-Series. 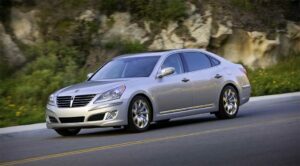 It’s been two years since the Korean carmaker first entered the luxury market with its Genesis sedan. The offering took the market by surprise, winning the coveted North American Car of the Year trophy and building a reasonably solid market among buyers who sought a mid-range luxury sedan without the high-priced sticker of import offerings like the Audi A6 or Lexus GS. But it’s another matter entirely to push into the premium luxury market, where buyers are far less forgiving of flaws and far more demanding when it comes to quality, refinement and features. So, how does the new Equus stack up? Certainly, there are those who will think Hyundai is over-reaching with the sedan. There’s no question that the Korean carmaker has done a credible job improving its image with a steady string of solid offerings, but this is a rarified segment of the market where only the best can compete. But, then again, isn’t that what we said, two decades ago, when the Lexus LS first came to market?